This authoritative reference work examines the laws, procedures, and practice relating to commercial agency and distribution agreements worldwide. For each country, the Encyclopedia of Agency and Distribution Agreements defines the concepts of agency and distribution and identifies and analyses the basic aspects of agency and distribution agreements. The detailed systematic and comparative analyzes facilitate ease of reference and comparison. The looseleaf format permits quick and easy updating and the addition of new jurisdictions. The tabbed country-by-country analysis and detailed tables of contents also enhance the accessibility of this work. Updates follow on a regular basis. 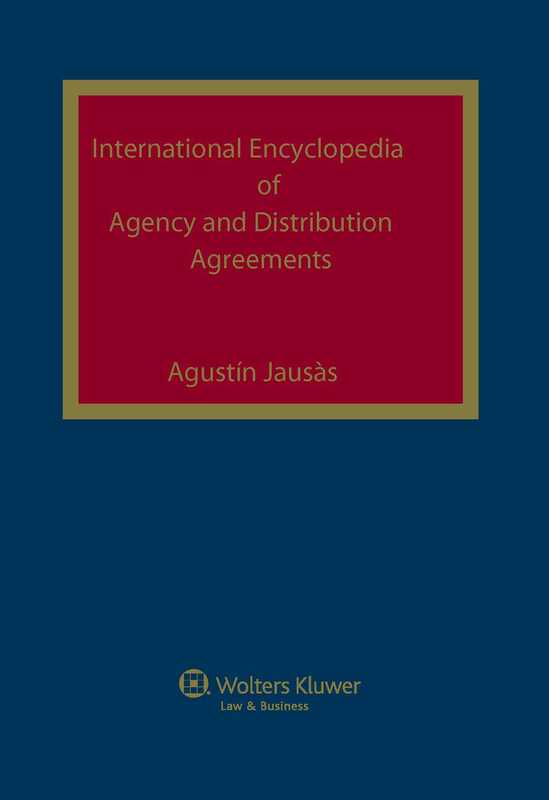 Its currency and accessibility make the Encyclopedia essential reading for all those involved in the practice of agency and distribution agreements in an international context. It proves a practical and useful reference for practitioners and business people planning and executing international transactions. This work has been developed and published in association with Committee M (International Sales and Related Commercial Transactions) of the Section on Business Law of the International Bar Association. 1. Definition of Various Types of Agency and Distinguishing Criteria. 2. Basic Aspects of Commercial Agency Agreements under National Law and Court Practice. Main Obligations of Agent. Term. 2. Basic Aspects of Distribution Agreements under National Law and Court Practice.